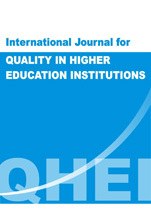 International Journal for QUALITY IN HIGHER EDUCATION INSTITUTIONS (QHEI) is an OPEN ACCESS JOURNAL, published online, annually by „Alexandru Ioan Cuza” University of Iasi, in order to ensure the sustainability of the European Project POSDRU/86/1.2/S/61959 „Academic community for quality in higher education”. The journal will be published in Romanian (Revista calităţii în instituţiile de învăţământ superior) and English (International Journal for QUALITY IN HIGHER EDUCATION INSTITUTIONS - QHEI) in order to increase the international visibility of research regarding quality in higher education and also in order to facilitate the transfer of good practices at the national, regional and international level. 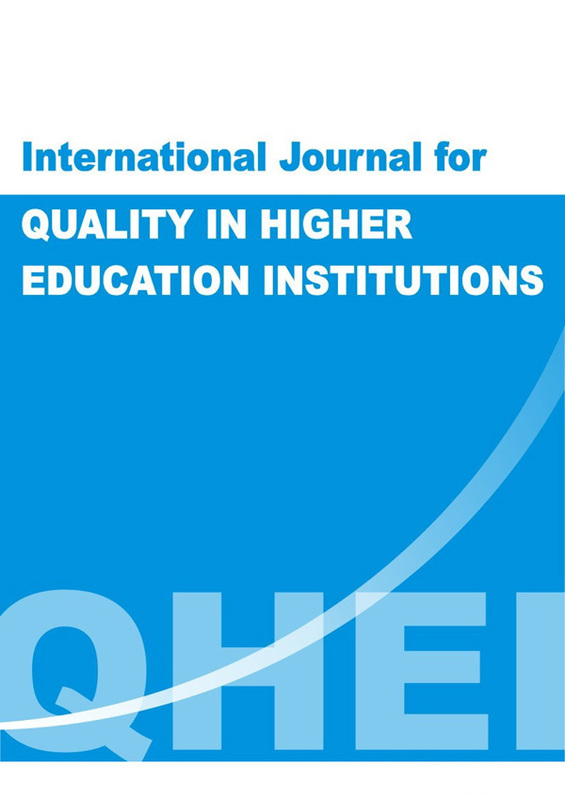 International Journal for QUALITY IN HIGHER EDUCATION INSTITUTIONS - QHEI is a scientific publication which concentrates on the strategies, policies, practices, methods and techniques that sustain quality assurance, implementation, stimulation and continuous improvement in higher education. Through its articles, QHEI provides a debate area for the national and international members of the academic community in order to increase the quality of higher education services and to sustain the development of both knowledge economy and knowledge society. Higher education has a significant impact on the development of human society due to the characters it develops and the models it promotes. Therefore, the quality of higher education is reflected by the extent to which universities manage to meet stakeholders’ demands and, at the same time, facilitate the development of individuals and communities. In this context, the QHEI’s editors’ primary aim is to support the progress of human society towards a wisdom based society and to connect national and international academic community decision makers to their internal and external stakeholders. As a reflection of our devotion to the highest research standards and to promoting the national and international research results regarding quality in higher education, we aim to index both the Romanian (Revista calităţii în instituţiile de învăţământ superior) and English (International Journal for QUALITY IN HIGHER EDUCATION INSTITUTIONS) version of the journal in international data bases. to stimulate national and international communication between universities and their stakeholders. Copyright ©2011 | Toate drepturile rezervate.Utilizand acest site sunteti de acordcu termenii si conditiile de utilizare.